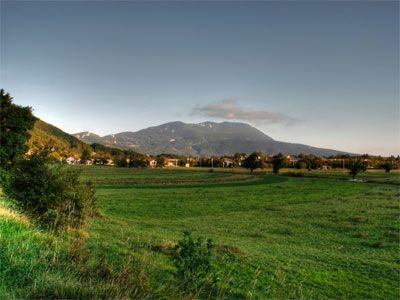 The source of Korita lies at 45 minutes’ walking distance from the village of Brgudac. It can be reached on a path that leads through a dense hornbeam and oak forest, with an occasional spruce and many protected plants and animals. Located in a meadow under the Brajkova stijena cliff, this source of drinking water pours into ten solid wooden troughs, beneath which is a rather large pool rich in plant and animal life. This facility played a very important role in the life of local people because it was a major water source for them and their cattle. A rest area at the source offers a wonderful view of the Učka massif. Interpretation boards explain the cultural and natural significance of this spot. Not far from the source is the Na Koritima mountain hut, which at weekends offers accommodation and refreshments. If you intend to stay overnight in the hut, we recommend first checking its availability with the Glas Istre mountaineering club. The medieval castle of Kožljak (210 m), built on a steep cliff above the former lake of Čepić, which was eventually drained and is today a fertile field, was first mentioned in some documents dating from the beginning of the 12th century. The preserved stone steps, which even today seems to echo the clatter of hooves and rattling of armour, and parts of the defensive walls are reminders of those troubled times. A series of coats of arms chiselled into the rock attests to changing owners and rulers throughout the centuries. To visit Kožljak, take the road that leads from Vranja to Šušnjevica and continue towards Kožljak. 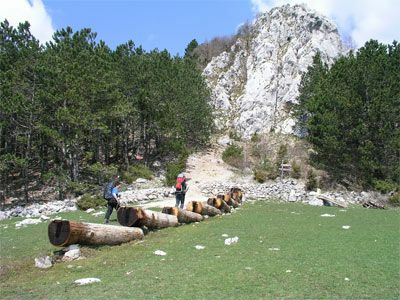 Vojak is the highest peak in Učka Nature Park; it is also the highest peak on the Istrian peninsula, rising 1,401 metres above sea level. The Vojak Tower was built in 1911 to benefit from the mountain’s wonderful panoramic views of Istria, the Kvarner Bay with the islands, the mountains in the Gorski kotar area, Mount Velebit, the Alps, and Italy. The tower was built by mountain climbers and nature enthusiasts from the Österreichischer Touristen Club in the Austro-Hungarian period. During World War I, it served as an Austro-Hungarian military and naval lookout post. 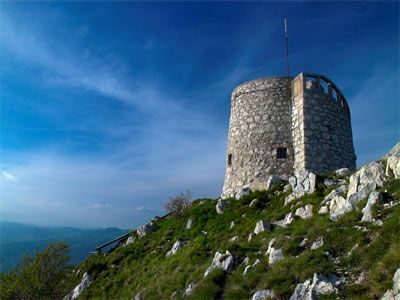 After the massif of Mount Učka and one part of Ćićarija mountain range were declared the Učka Nature Park in 1999, the Vojak Tower became the symbol of the park. 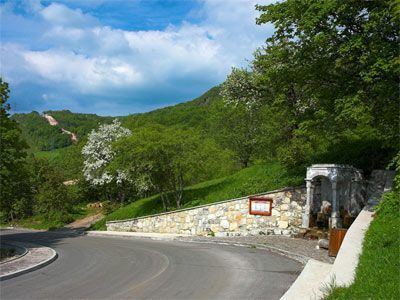 To preserve the area’s cultural and historical heritage and the long tradition of climbing to Učka’s highest peak and observation tower, as well as to make the most of the splendid panoramic views, the Učka Nature Park Public Institution renovated the tower completely in 2004. Today, the tower includes an information office, a souvenir shop and an observation deck equipped with telescopes offering magnificent views of the surrounding landscapes. Only 3 km from the summer crowds on Mošćenička Draga beach lies the hamlet of Trebišća, which used to be particularly beautiful in the past. 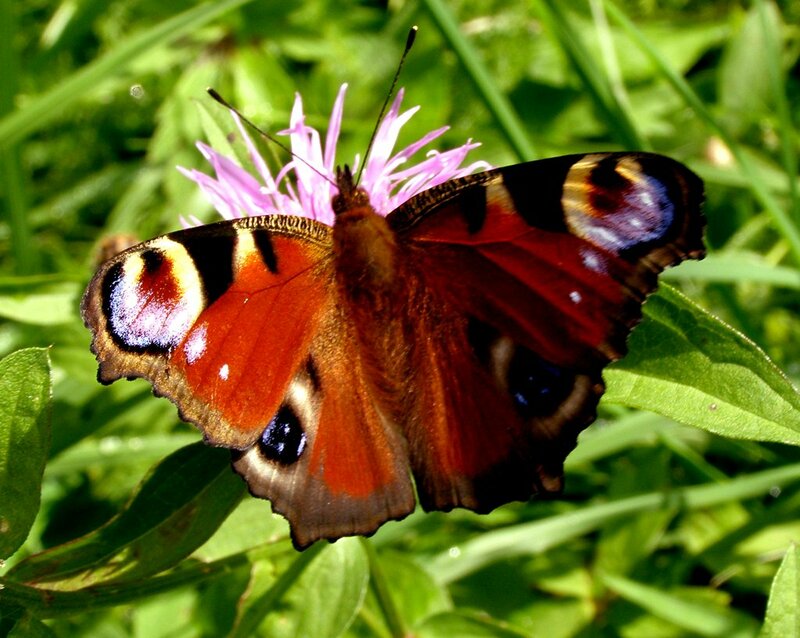 It is hidden deep in the green shade of a canyon cut out by a local stream, the Potok. 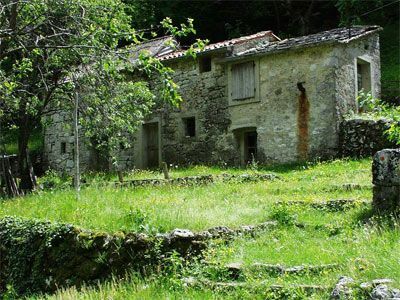 The reason why this place was located in this inaccessible valley, where the sun hardly shines in winter, can be found in the ruins of the local mill. Written documents about its existence date back to the Middle Ages, and older local people still remember the times when this whole area used to bring corn there for milling. The mill was set on fire at the end of World War Two and was never restored, because of technical progress. 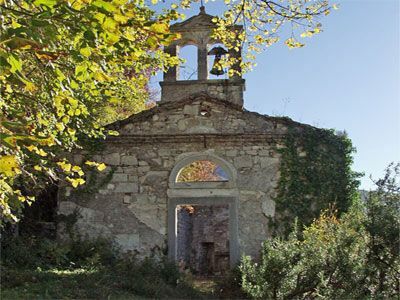 As a result, Trebišća lost its importance and gradually became a town without permanent residents. However, thanks to the care of people who were born here, this hamlet remains well-preserved, frozen in time like the sleeping beauty. 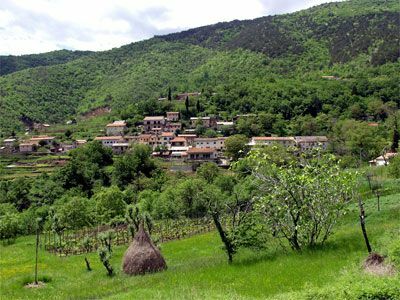 We recommend that you leave your car in Vela Učka and take a 3.5-km walk through the village towards the abandoned village of Mala Učka. 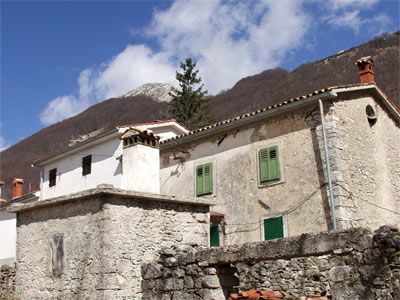 This is a perfect opportunity to directly experience the rural life on Učka and to enjoy some magnificent views of the Istrian slopes and Učka’s peak ridge. The “Water of Joseph II” is located in a small rural settlement called Vela Učka, on the western slopes of Učka Nature Park. The style and the dimensions of the facility create the impression of a fountain, which is how it is mostly known by the local people. In the folk tradition it was also called “Napoleon’s water”. 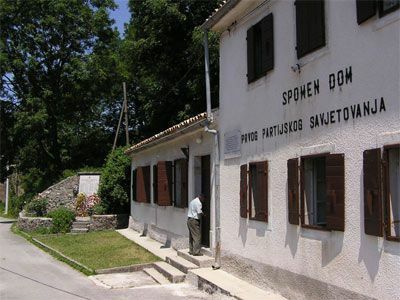 The old “pipe”, with its beauty and patina of times gone by, has always attracted the attention of Učka’s inhabitants and the travellers who have been stopping by for centuries to refresh themselves from its fresh spring water. Today, due to its monumentality and cultural features, it is considered a cultural heritage of special importance. Based on the style of the building, it is presumed that the fountain was built during the reign of the Habsburg Monarchy, at the time when the road over Učka was constructed. Most of the large number of people that inhabited Učka at that time were involved in cattle breeding and agriculture and therefore this facility was used by them as a place to rest and water their animals. This fact was confirmed by an inscription revealed during the monument’s restoration in which the name of Emperor Joseph II of Lorraine appears, the sovereign of the Monarchy from 1780 to 1790. The fountain was renovated to mark the occasion of International Year of Freshwater in 2003 as part of the cultural heritage protection programme run by the Učka Nature Park Public Institution in collaboration with the relevant administrative department for the protection of cultural heritage at the Conservatory Department in Rijeka and the sculptor Zvonimir Kamenar.